Here's the second part of our Hong Kong Do-It-Yourself Tour. * We had buffet breakfast at Crystal Lotus, a Chinese restaurant, at Disneyland Hotel. Buffet price was at HK$ 150 per person that time. 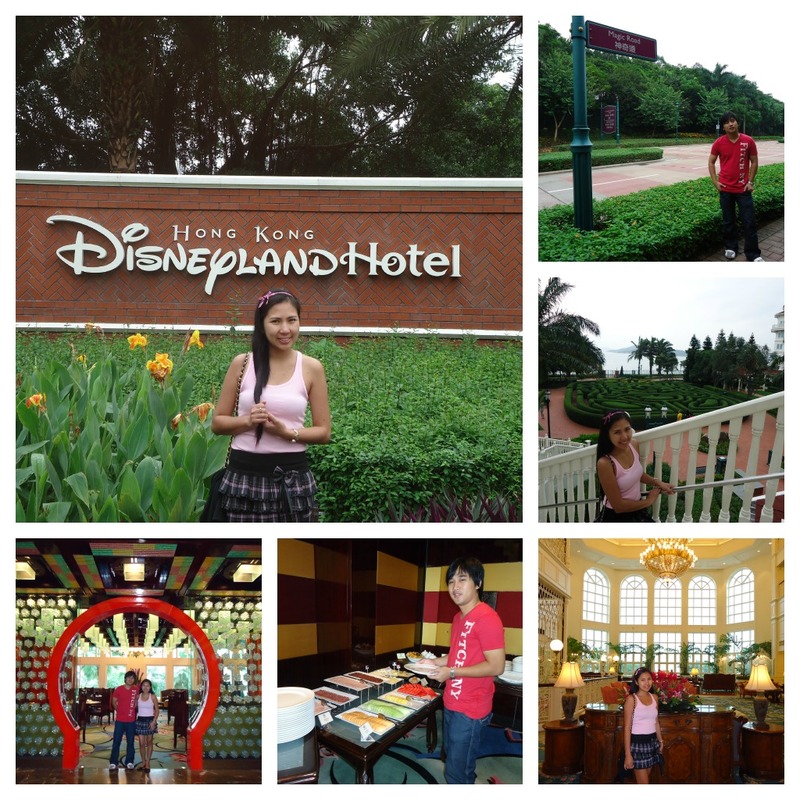 * We spent our first 2 nights at Disneyland and our last two nights at the heart of Hong Kong. We chose to do this to have better transportation access to the attractions we wanted to see. * Since I was nursing a flu that time, we rested for a few hours. I was so happy that we were not on a guided tour, I had the freedom to take a much-needed nap. We started our tour in the afternoon. The hotel offered a free shuttle bus which took us to the nearest train station. 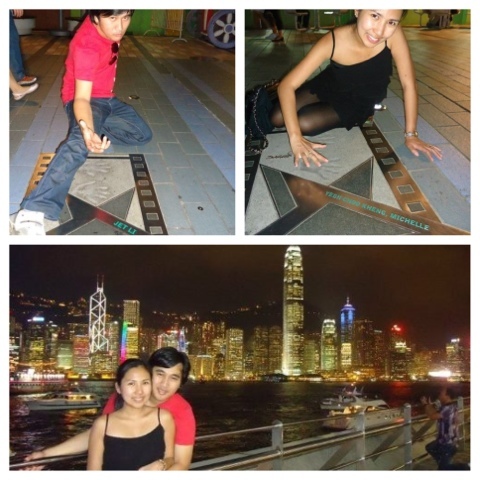 * Because it was raining on our first day in Hong Kong, we missed the Sky Terrace, an important attraction at The Peak. We headed to Central Station again, walked a few minutes, rode a tram , had lunch at Hong Kong Day (for only HK$ 50 per person!) and enjoyed the great view at The Peak's Sky Terrace. 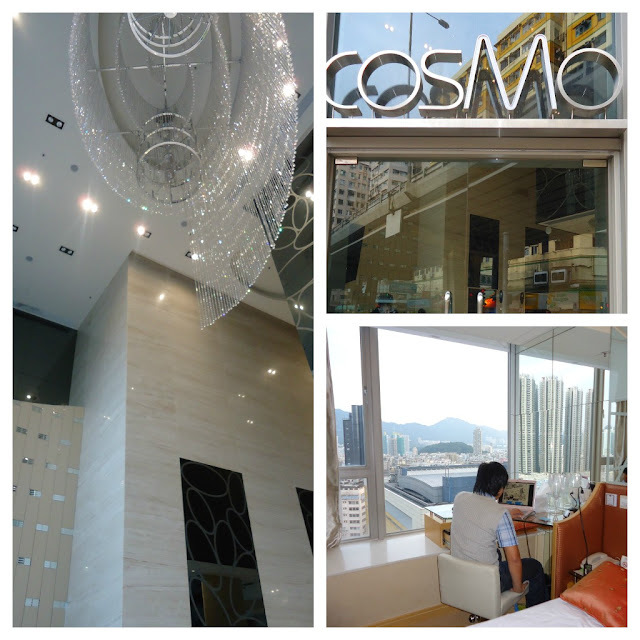 * From Central, we went to Causeway Bay to look for a famous restaurant, Modern Toilet. I thought it would be easy because I got a step-by-step direction guide to the restaurant, but it's not! We explored the area for 30 minutes but still couldn't find it. I knew something was wrong and it's not on the directions that I got. How can you find something that doesn't even exist, duh?? Well, it did exist, but for some reason, two branches in HK were closed down. * There are lots of Victoria Harbour tours offered, but riding the ferry from Cental to Tsim Sha Tsui is just like being on a cruise tour as well. 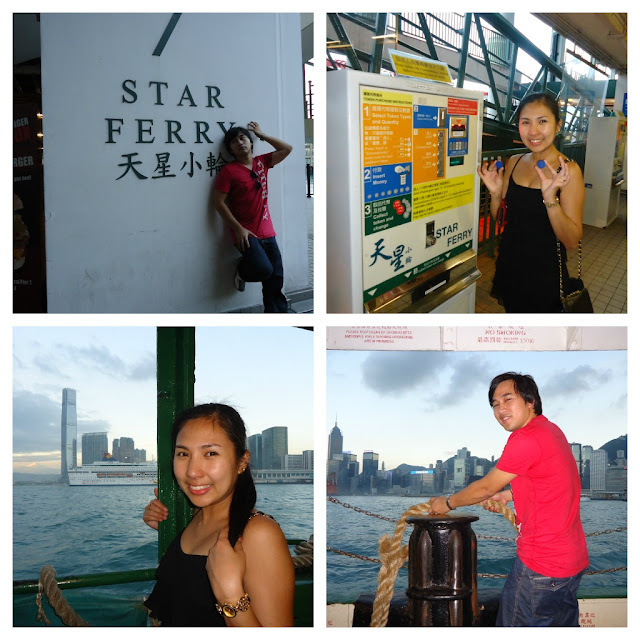 * From the Star Ferry terminal at Tsim Sha Tsui, go for a stroll until you reach Avenue of the Stars. It's like the Hollywood Walk of Fame. Take photos of hand prints of Chinese celebrities like Jet Li, Michelle Yeoh & Chow Yun Fat. * At Victoria Harbour waterfront, be amazed by Hong Kong island's skyline of skyscrapers. * Symphony of Lights is a free show that should not be missed. It features HK buildings on lasers and lights display, in sync with a music. * We spent the day at Hong Kong Ocean Park. Check my previous post for directions and details. Click here. * Our hotel's shuttle bus was scheduled to pick us up at Langham Place. Since the Ladies Market is near the area, we went for a quick shopping. * Tip: On shopping along the streets of Hong Kong, don't be shy to do reasonable haggling. I got most of the items I bought at half the price. * 24 Hours in Macau! 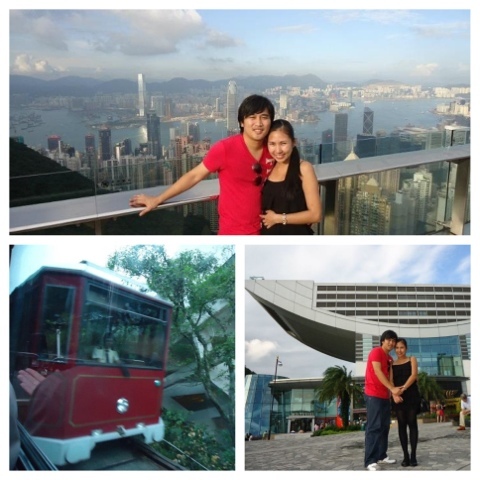 * We had another Do-It-Yourself tour and hubby went crazy at Macau Tower Bungee! I want to bring my son to Disneyland. Sana before syang maging binata, hehe.